Taking your child to a regular dentist doesn’t always give them the same benefits as a kid-friendly one. Luckily, there are plenty of amazing dentists in Florida that cater specifically to children. Not only do they have the know-how to care for young patients’ teeth, they also help children have fun doing it. You can’t help but notice the difference when you visit one of these 10 best kid-friendly dentists in Florida. 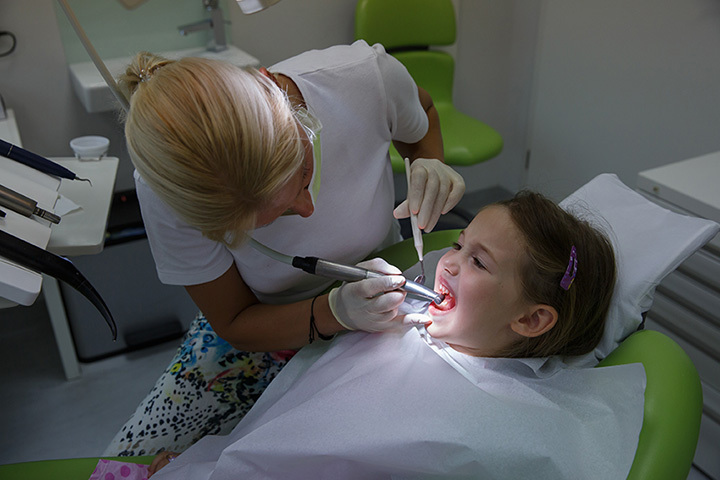 It’s not just about the quality of service your child receives here, but also how the staff motivates them to continue practicing good dental habits. Every person on the team here is dedicated to every patient’s success, offering education and answering your questions to give you the best possible experience. Their patients love coming here so much they’ve been known to drive from over an hour away. You might think you’ve stumbled into a beachy arcade, but rest assured you’ve found your way to one of the coolest children’s dental practices in the state. Video games, bright colors, and fun decor about, changing everything you thought a dentist’s office should look like. Kids will love coming here, and maybe even ask you when it’s time to go back! Kids and parents will agree that a trip to the dentist here is out of this world! They offer a variety of services under one roof to make getting your child the appropriate dental care easier than ever. From infants to adolescents, you’ll find top-notch care and a dedicated, caring team that help every patient learn how to maintain a healthy smile. Not every pediatric dental practice can measure up to the gentle techniques you’ll find at Journey Kids Dental. One of their biggest benefits is that they know how to put children’s minds at ease by using techniques that both comfort and calm. As a result, a trip to the dentist can seem more like a treat than a chore. The team here takes pleasure in seeing their patients smile, and they can offer all the resources, education, and services to help them maintain it. You can get all your child’s dental services in one place, everything from routine cleanings to orthodontics. With fun, nautical office decor and a warm, friendly staff that truly enjoys caring for their patients, you won’t find a better dental practice for your child. Did you know that good dental care begins before your child even has teeth? That’s why Kids First Dentistry is focused on providing quality dental care to children of all ages, helping them to develop healthy habits to keep their smiles shining. From using good practices from the very beginning, you, your child, and his or her dentist at Kids First can help to create good hygiene that will carry them far into their adult years. SmileWorks redefines everything you thought a trip to the dentist should be. They make brushing and flossing fun, offering engaging education along with top-notch service and care for every patient. Their office is nothing but kid-friendly, which might even make them forget they’re there to see a dentist. The name alone screams kid-friendly, but the service on the inside is equally inviting. Serving children and teens of all ages, this team teaches every patient how to properly care for their teeth to keep their smile looking and feeling great. They make going to the dentist fun, and will have your children looking forward to their next appointment. #cleanteefers #nocavities ♡ Dr. Chris and their entire staff! With two locations in Central Florida, you’ll find just about any dental service your child needs. They pride themselves in using gentle techniques and help patients discover that going to the dentist can be fun. Children of all ages, including infants and teens, are welcome here. Smiles begin with good preventative care that will help teeth last a lifetime, and that’s exactly what you can expect from Lakes Park Children’s Dentistry & Orthodontics. They specialize in providing care to children of all ages, including those with special needs. Together, you, your dentist, and your child will ensure a healthy smile whose benefits will last long after your appointment is over. Pretty sure adult dentist offices need movies playing on the ceiling! Lion king for the win this morning!